Vikings Vs Knights Vs Samurai. I’m sold. 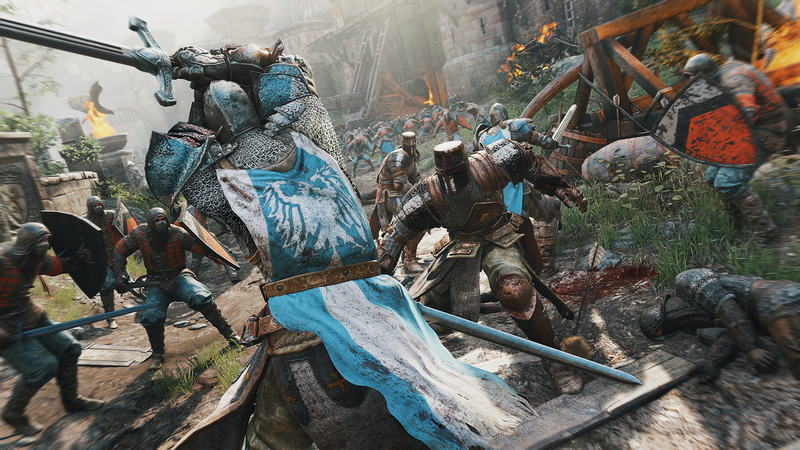 For Honor is a 4v4 melee multiplayer game. There are NPC’s on the battlefield too. They make for much easier fights. However, when clashing with humans the strategy really picks up. Combat uses the Right stick, In a Rock Paper Scissors fashion. The video above shows this feature in all its glory. This is one brutal game. Head slicing, chest stabs, you know, just to name a few. The graphics are downright stellar. I’m surprised FH fell under the radar at this week’s event. Be sure to check this one. We would love to hear from you in-regard to this cool concept. Ubisoft’s new IP is scheduled for a 2016 release.